Elvex Go-Specs primary objective is to provide an extra measure of protection in dusty and dirty environments. Wind blown particles such as dust, sand, cement, chemicals can cause serious eye irritation and damage. 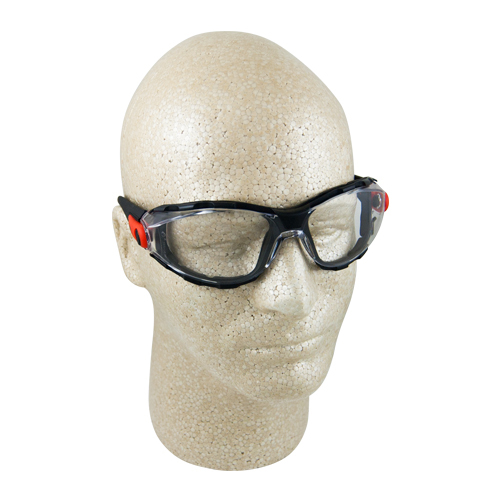 In addition to this specialized task, Go-Specs offers a full range of features and benefits. Protection over glasses during racquetball? While we cannot guarantee a fit, we recommend looking at either the ERB or the Elvex safety glasses that are specifically designed to be worn over existing glasses.